The small yet extremely beautiful country of Andorra, in the Pyrenees is one of the most popular ski destinations for those who are seeking a place to enjoy some of Europes best ski slopes. Located between Spain and France, this tiny part of Europe is home to two fantastic ski resorts, upon which thousands of visitors descend on a regular basis during the winter season. The two ski centres of Andorra are Grandvalira, and Vallnord, both of which offer first rate ski facilities and make a great choice for your ski and winter holidays. Grandvalira is the largest ski centre in Europe outside of the Alps, and offers a great selection of pistes. Vallnord is located on the other side of Andorra and offers ski areas with lovely landscapes and scenery, and an amateurs slope which is ideal for newcomers to ski and winter sports. Andorra is a great choice for your ski holidays, and as well as the excellent ski resorts, it is also great for shopping and general sightseeing. 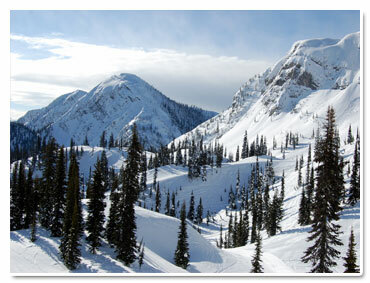 It has lots to offer and is a perfect destination to head off to for your upcoming winter and ski holidays. Below you will find information about ski holiadys in Andorra as well as information about special offers, discount ski holidays, package holidays, accommodation and much more.